German beerhall food. View the menu here. 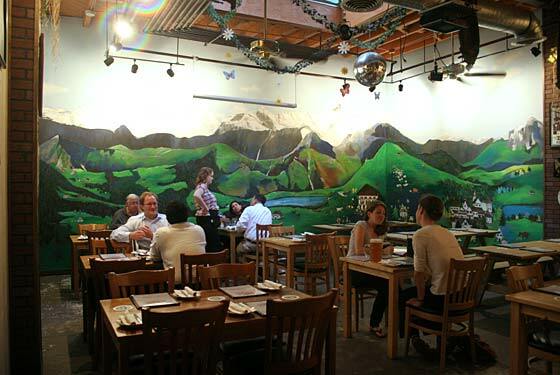 A beer hall with great German food and nice selection of German beer. You can get your own mini tableside keg, or hang out in the cozy back room.